*Our experiences in Scotland were in part hosted by ScotRail, for which we are grateful to have enjoyed this sponsored opportunity. Scotland is such a beautiful, green and friendly country – Ava and I had a blast visiting for a few days recently. Edinburgh is lovely, and I will soon write about our fun experiences in the city. However, there is a whole countryside outside of Edinburgh so easy to tour via an easy trip on the ScotRail train system. Using Waverly Station in Edinburgh as our jumping off point, we traveled the rails into the countryside. It was a perfect way to mix some downtime into our sightseeing, which is always good when you have kids along. Ava was able to relax and catch up on her Snapchat streams (oy, that’s another subject we need to talk about), while I looked out the window at the gorgeous countryside whizzing by. Really those views are postcard perfect, and would not have been the same if we had rented a car and I was forced to drive on the wrong side of the road. How do people do that anyway?!?! Arguably the best castle experience we have ever had, and that is saying a lot considering how many we’ve visited all around the world. There is something both grand and quaint about Stirling Castle. It’s enormous, perched for centuries at the top of a hill on a rocky outcropping in the sweet hamlet of Stirling – about a 30 minute train ride from Waverly Station. Early settlements at this site have been traced back to the 12th century (that is a looooong time ago, and Ava could not even grasp how ancient that makes this place). Now preserved as it was in its heyday during the 17th and 18th centuries, Stirling Castle is remarkable because it is fully furnished as it appeared during those Medieval times. 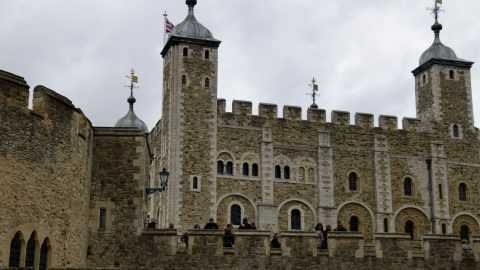 The King and Queen’s residences and private rooms all contain the originals or reproductions of furnishings, allowing visitors to really feel that era. 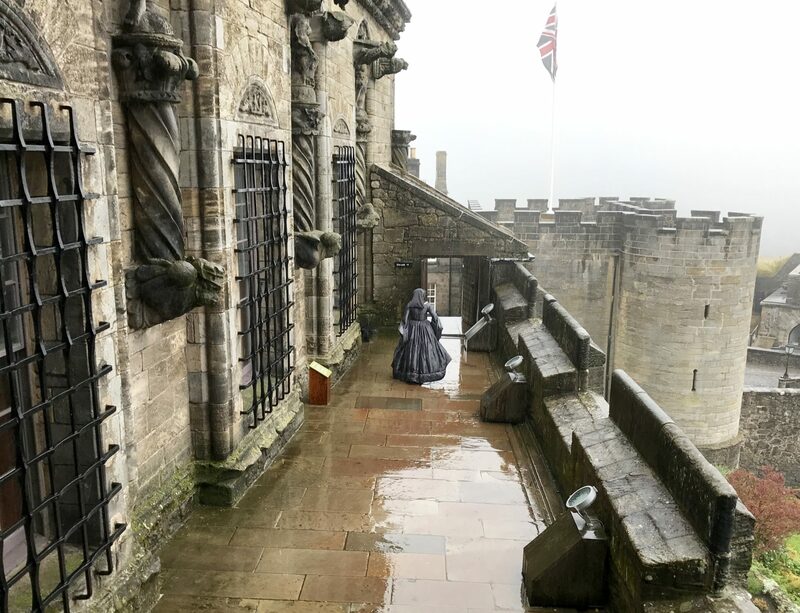 Attendants in period costumes populate the castle and grounds, greeting guests and demonstrating life at Court all those years ago. There are also a bunch of interactive displays on the ground floor specifically for kids, to help them learn and understand life in Medieval times. You can read more about our visit to Stirling Castle here. 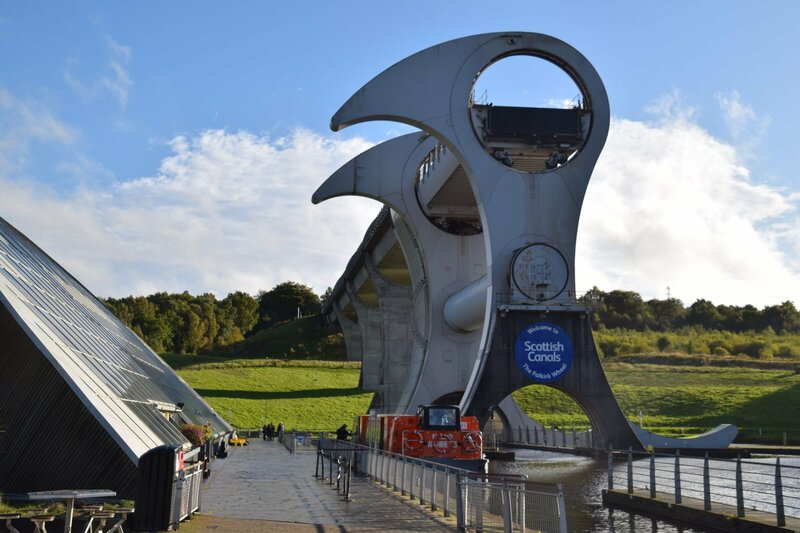 An engineering feat that boggles my little brain, the Falkirk Wheel is basically a canal lock built to transfer boats from one level of canal water to another. However, the Falkirk Wheel along the Scottish Canals is so dramatic because it is a unique solution and the only one of its kind in the world. It works by balancing a canal boat in its chambers at top and bottom, carefully weighing the water and boat contents and then turning the “wheels” containing each to trade places with one another. One boat moves downstream to continue its journey, while the other is moved upstream to motor in the opposite direction. Visitors can take a ride on boats that traverse the canal through the wheel, and it was fascinating. The views from the top aren’t too shabby either. This is something you have to see to believe and if you have kids who love to know how things work, this will keep them occupied for any hours/days/weeks. Mythical Scottish lore tells of creatures called Kelpies that can change shapes at will, taking the forms of many different animals including their favorite, horses. The Kelpies lived in or near the waterways of Scotland, so an enterprising artist sculpted two enormous horse heads coming up from the canals in Falkirk. 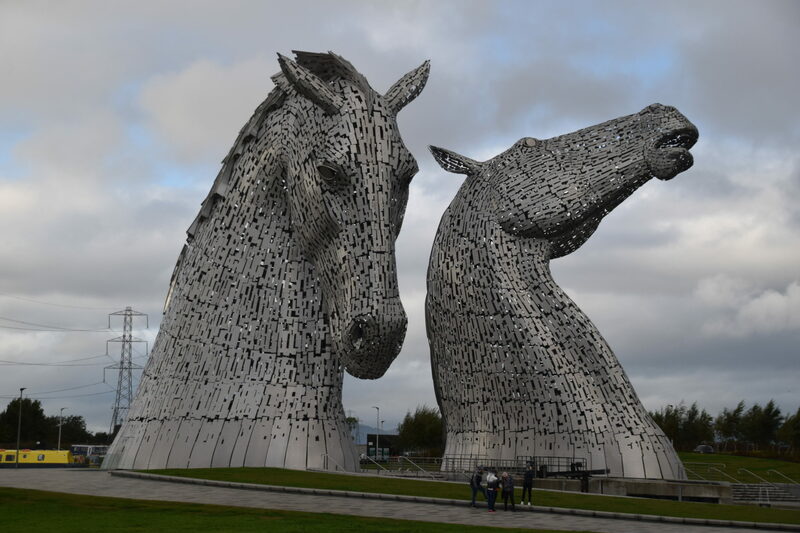 (The Kelpies are not far from the Falkirk Wheel; you can rent bikes and cycle along the canals from the Wheel to the Kelpies across about 40 minutes of flat terrain). The Kelpies are made of metal sheets, and really are quite beautiful as they reflect rays of the sun and the waters around them. Did I mention they are enormous? We felt dwarfed by them, but unlike other large figures we might know, visitors cannot climb up inside. Very cool though! Another day, we took the ScotRail train from Waverly Station to Newtongrange, where we walked about two blocks from the station to the National Mining Museum of Scotland. Maybe it was because it was a Monday and no one else was there, or maybe because it was raining on corrugated metal roofs, or perhaps because we have very creative imaginations, but this place is spooky! Coal mining was a huge part of Scotland’s economy through the past centuries as demand grew for the energy that burning coal supplies, among other by-products. Ava was freaked to learn that many poor families back in the day had “sold” their kids into indentured servitude in order to make ends meet (sometimes more than one kid from the age of 7 up!) There were many deaths due to caves falling in, noxious gasses and explosions of all kinds. It didn’t sound like those time were much fun, but the museum is super interesting. Solar panels, anyone? 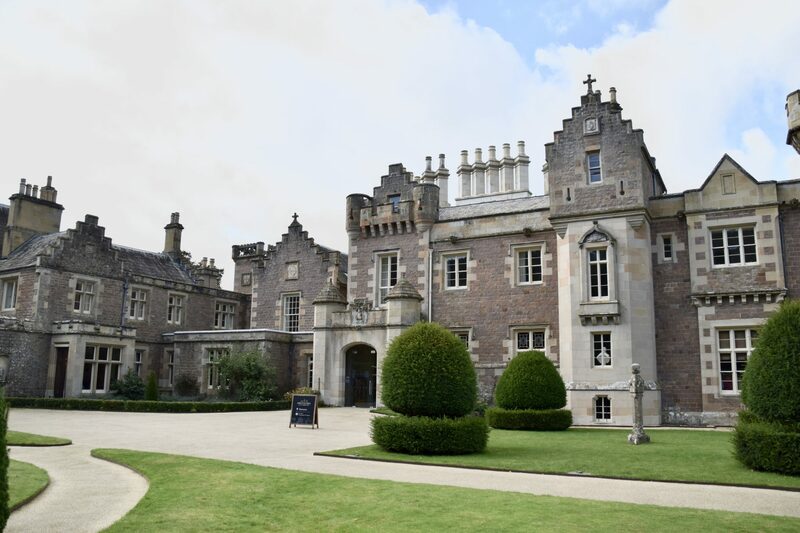 Another highlight of our trip was a visit to the country manor of Sir Walter Scott, famous for his novels like Ivanhoe and Rob Roy as well as many poems and plays during the 1800s. This dude was quite a collector and his home is quite literally filled with items he collected from his travels and interests, bringing them back to Abbotsford to adorn the walls, tabletops and his unbelievably voluminous library. The walled gardens here are equally amazing, and we strolled among rosebushes and other flowers all protected by a Gothic-style structure. Abbotsford has a very good visitors center and shop, with a high quality restaurant upstairs that overlooks the manor and gardens. We loved our grilled cheese sandwiches and tomato soup as we watched the drizzling rain create a very period atmosphere. This experience was high on our list. When the time came to leave Scotland for London, it was just as easy to take the train from Waverly Station to Kings Cross. A different rail system makes this trek, smooth and quick along a dedicated track with very few stops that makes a beeline to London in about 4 hours. We had time to catch up on reading for Ava, and blogging for me. All with a spot of tea and a nice Scottish shortbread cookie, this ride was very comfortable. We recommend reserving seats in advance at one of the tables, to spread out and stake your territory. And when in London, you really must take the train again – this time to visit The Making of Harry Potter at Warner Bros. Studios just outside London. That was an incredible experience! Love traveling by train and your post remind me of my plan to one day visit Scotland that way. 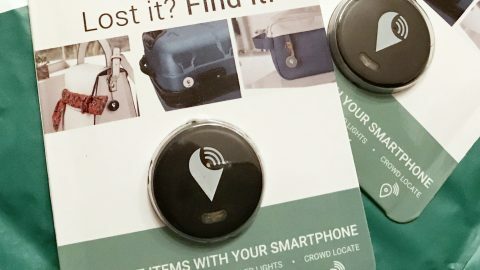 Great post!Thank you for sharing your experience. I’ve always had a fascination with Scotland and the incredible sights and landscapes within. This doesn’t help! The Kelpies statue alone looks so dramatic against those moody skies. We loved using Scotrail while visiting Scotland too. We were based in Glasgow and used it to go to Stirling and Edinburgh. Isn’t Stirling Castle neat? We loved Stirling Castle! So many great sights to see – we have to go back soon. I’ve seen the Falkirk Wheel! What I do NOT understand, is why they built it, canal boat travel being firmly in the past and all. It is a fabulous bit of engineering though. 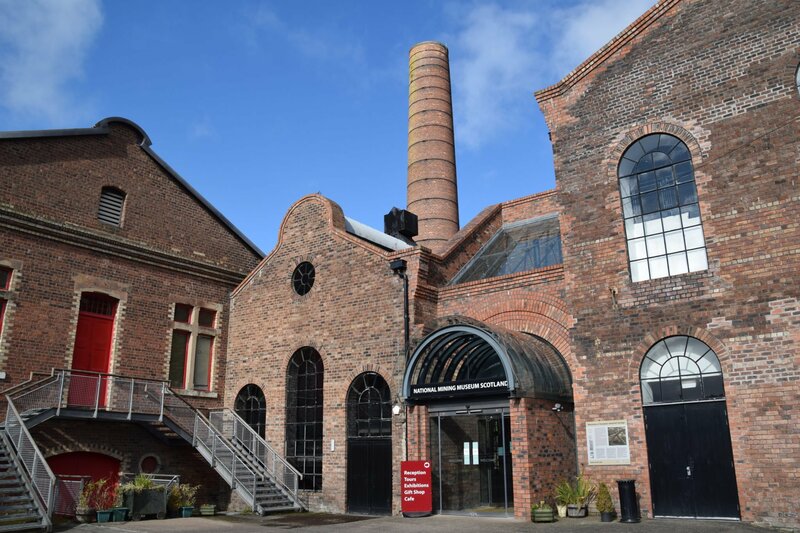 Missed the mining museum – shame, that sounds interesting. I was thinking the same thing about the Falkirk Wheel, and the boat’s captain explained they hoped it would encourage more leisure travel via canal between Glasgow and Edinburgh. And on command, two leisure boats appeared that needed to use the Wheel going in both directions! Go figure. This is the second blog post I’ve read today about canal locks (albeit different canals), and I think it must be a sign that I need to go see some :). Looks like an amazing trip! I just love reading all of your posts! I’ve always wanted to visit Scotland, it’s pretty high up in my bucket list….I think this one just put it even higher 🙂 Love the photos! Those giant horse heads were so impressive!